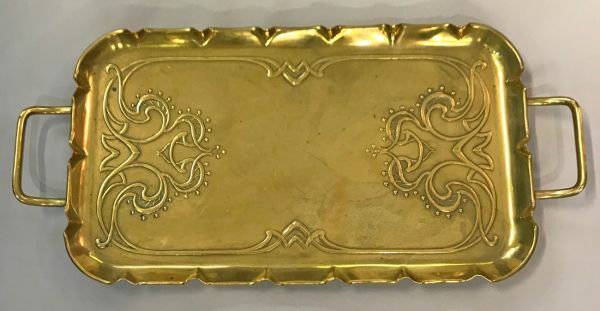 Art Nouveau brass tray, English, circa 1900. 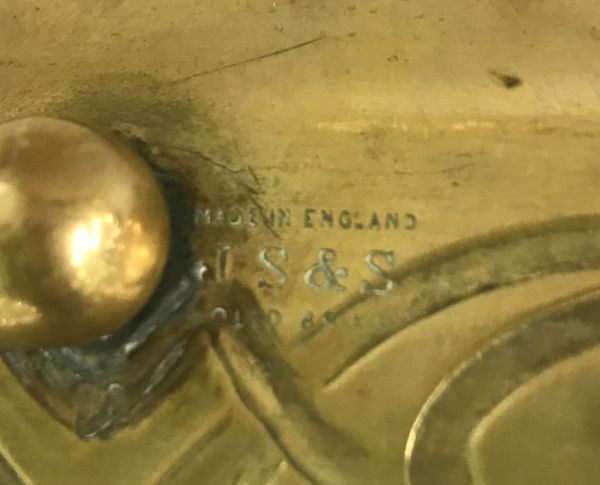 Made by Joseph Sankey & Sons Ltd., Bilston, England. 17” (including handles) by 8”.